New Livon Moroccan Silk Serum with precious Morocco's Argan Oil detangles your precious hair and prevents its breakage. As your hair dries, you experience the beauty of smooth, silky hair. your hair becomes manageable and feels free flowing so that you can leave your hair open all the time. 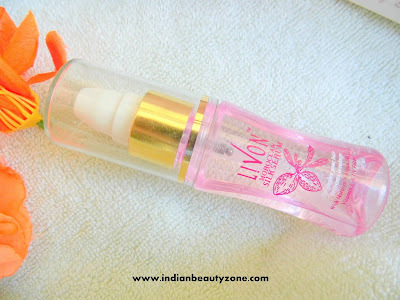 Livon Moroccan Silk Serum has sunscreen (UV filter), which helps protect your hair from the Sun. It comes in sturdy transparent plastic bottle with a pump dispenser. The pump dispenser is protected by a lid which is useless, yes it is often tend to comes off when you take the bottle to use and you may tend to miss the bottle on the floor because of this stupid packaging. So, I cannot say it is travel friendly. The texture is not stick and non greasy, it is a light weight hair serum. It smells like a flowery smell and it is mild. It is a colourless liquid. 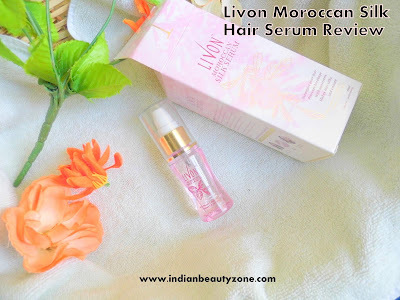 I use to apply this Livon Moroccan Silk Serum on my wet hair and then dry up my hair in natural air. I felt so smooth and soft locks in the first time itself and I got attracted towards this hair serum more because of the good results in the first time itself. 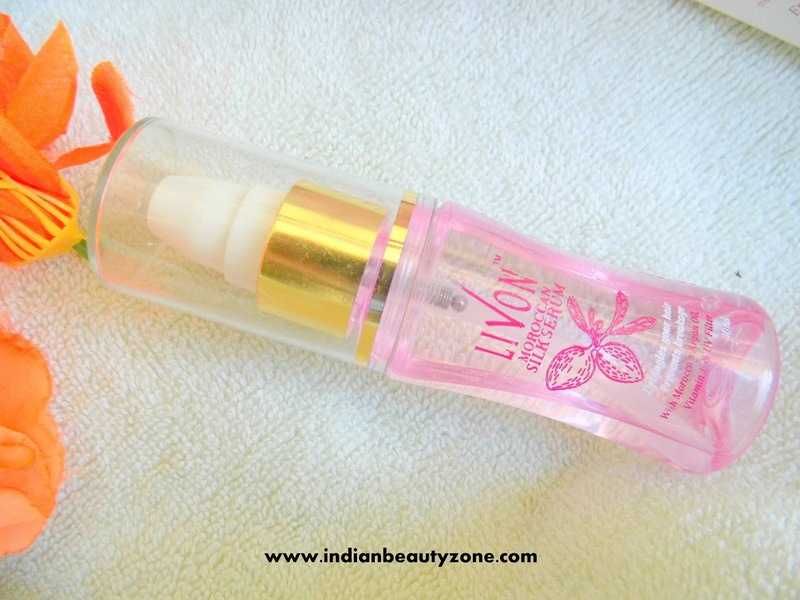 I love to apply this hair serum regularly as this makes my hair smooth and shinier. I started loving my hair again because of Livon Moroccan Silk Serum. The smooth and shinier locks last longs for one day, you have to reapply if you want them again on your hair. I don't about the reapplying process as it is easy. I use spray water on my hair and them apply this hair serum, that's it I am done. It makes my hair more manageable and less frizzy. I cannot say that it controls my whole frizzy hair, but somewhat it makes my hair looks good and manageable. Overall I love to use it regularly and will repurchase again. It is non sticky and doesn't makes your hair weigh down. The staying power is impressive. It makes the hair shine and smooth. I have no hair fall problem with hair serum. The brand has to concentrate on the stupid packaging, the cap is of no use and it is very loose.